With the start of October comes pumpkin carving contests, fall festivals, and, of course, shopping for that perfect Halloween costume. More than that, this is the month for all things ghosts, ghouls, and goblins. 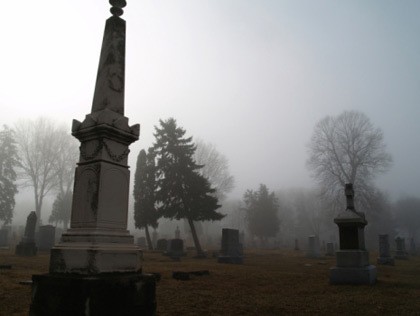 Northern Virginia is home to many frightening tales of ghosts and haunted houses. We’ve compiled our must-see haunted attractions to make your October as spooky as possible. Be warned, these eerie sights are not for the faint of heart. 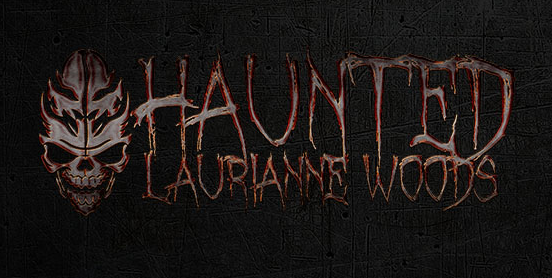 The Haunted Laurianne Woods: Located in nearby Gainesville, VA, the Haunted Laurianne Woods offer six unique spooky attractions in one central location. Each haunted trail has its own creepy backstory and even the bravest of people will find themselves checking over their shoulder. 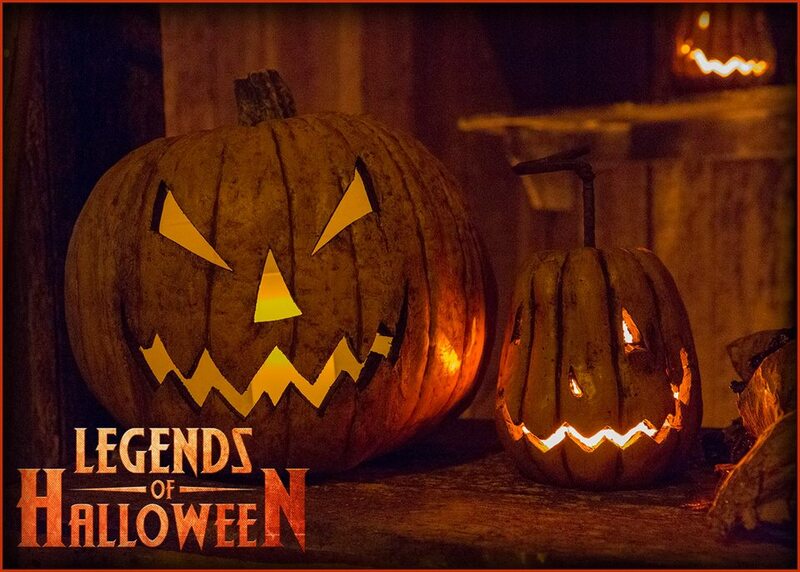 Choose between the Laurianne Woods Cemetery, the Children of the Great Pumpkin, Lair of the Spider Witch, Girrand’s Traveling Circus and Oddities Show, Legend of the Bunny Man, and the Cleburne Family Plot. Pick your kryptonite, and get ready for a display so terrifying, you’ll be shaking in your boots. As if this one-stop shop for haunted horrors couldn’t get any better, admission is free, and any donations go directly to the Haymarket Regional Food Pantry. They’re only open October 20th, 26th, 27th, and 31st from 7-10 p.m., so book your tickets soon! They even give children the chance to enjoy a “no scare” version on October 28th from 3-6 p.m.- the perfect time and place to have fun with the whole family. 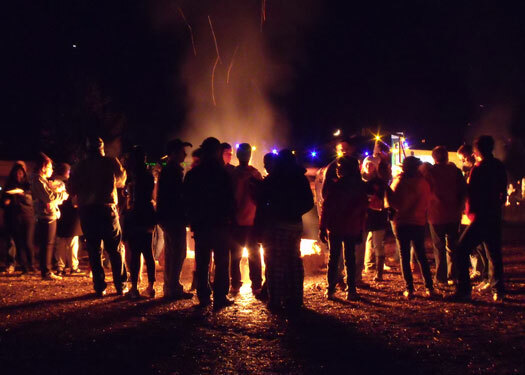 The Cox Farms Fields of Fear: Set on over 20 widespread acres of land in Centerville, VA, the Cox Farms Fields of Fear has created the ideal haunted night out. Featuring everything from a claustrophobic corn maze with evil clowns running rampant to a lost and forgotten circus hayride, you’ll find yourself transcended from reality. They even offer a walk through the dark woods, featuring terror right out of your favorite horror movie. The Fields of Fear are open 7:30-11 p.m. every Friday and Saturday night from September 21st-November 3rd. If you can’t shake the fear, feel free to visit Cox Farms during the day to experience more relaxed, fall-themed fun. Gravensteen Haunted Productions: Voted the scariest and best haunted attraction in the DMV, and only 30 minutes from Loren, the Gravensteen Haunted Productions are like no other. Featuring the Legends of Halloween production, created new for 2018, you’ll quickly find yourself fully submerged in what feels like a terrifying horror film. To add an even more realistic touch, the entire venue is located in an actual haunted house, so who knows which ghosts are for show and which may very well be real. Tickets are on sale now for $15 online and $20 at the door. The show begins on October 5th, and will be in session every Friday and Saturday of October, as well as Halloween Eve and Halloween. Remember to bring your valid ID, because Gravensteen Haunted Productions is located on a military base. Meet the Ghosts of Lafayette Square: Haunted houses always promise a night full of nerve-wracking entertainment, but for you real fear fanatics, we wanted to find something even more terrifying. The only thing scarier than unexpected fear is seeing real ghosts. This one requires a short trek out to Washington D.C., but the Haunted Ghost Tour of Lafayette Square is sure to be an experience for the books. The tour is offered at 7:30 p.m. every Friday and Saturday night in October, as well as Halloween. Tickets are $20 for adults and $10 for kids under 16. Washington, D.C. has been known to be home to ghosts in many of the historic homes, and Lafayette Square is said to be the most haunted area in all of the District. Remember to put on your comfortable shoes, because the tour will involve a lot of walking, and maybe even some running…away. Madhaunter’s Madhouse: Last, but not least, is the Madhaunter’s Madhouse, presented by The Workhouse Arts Center in nearby Lorton, VA. By far the most creative and inventive display of terror, the Madhouse is located in the longtime-abandoned DC Department of Corrections Lorton Reformatory. In addition to the ghosts of felons past, the massive 55-acre venue is filled with terrifying trails, with characters out of your worst nightmares hidden behind every corner. What makes the Madhaunter’s Madhouse the must-see attraction of the season? To us, it’s the zombie-themed escape room, the horror movies shown on the walls, and the bar serving up evil cocktails to anyone of age. 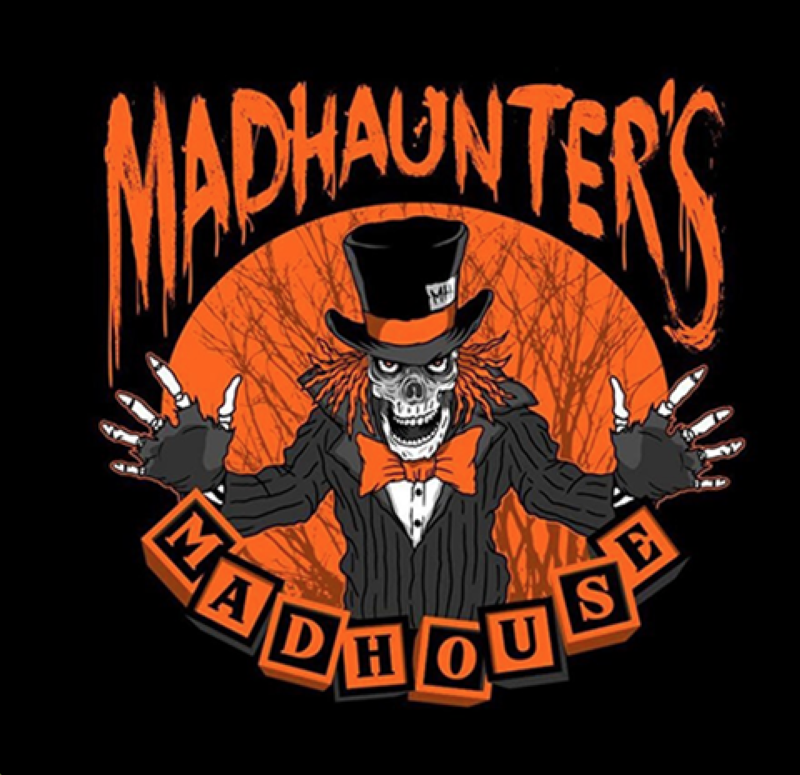 The Madhouse opens on October 5th and will be in session on various dates through October 31st. Tickets are $20 and can be purchased on their website now. While we don’t want you to be frightened the entire month of October, we do recommend taking advantage of at least one of the jaw-dropping and shocking haunted houses in our neck of the woods. Whether you prefer real ghost hunts or haunted mazes, tricks or treats, Halloween in Falls Church is one of the best times of year. Pick your poison, and plan a night of fear and fun. Be prepared to be scared!